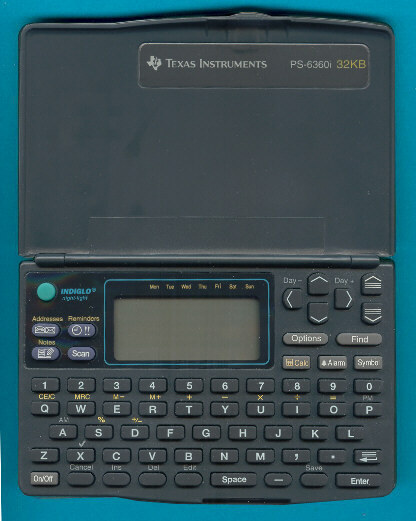 The small display of the PS-6360i. The internal construction of the PS-6360i is typical for the whole line of TI organizers. A 8-bit microcomputer system based on a Toshiba microcontroller surrounded by 32k RAM, 64k ROM and a display controller. The PS-6460i and PS-6560i got larger memories. Production was shifted in 1997 from Taiwan to Thailand.